My journey: 20 years (years!) and over $180,000 of personal out of pocket expense learning and mastering ADVANCED Ericksonian-style hypnosis. In the process I have gained unique insights (which I’ll share with you below) into WHY most hypnotists (even the really experienced ones) NEVER quite crack how to do multi-faceted Ericksonian hypnosis with DEEP FLUENCY. Plus... you’ll start getting results from hypnosis that have so far eluded you. Erickson himself cannot teach you how to do hypnosis the way he did it. He is, of course, no longer with us. Now, there are, of course, some excellent hypnotists out there that use (in some fashion) Erickson’s style of hypnosis. There were only a few “first generation” students of Dr. Milton Erickson -- (those students that got to observe and informally “study” with Dr. Milton Erickson at close quarters, personally). Sadly, most of those “first generation” students are also now deceased or no longer teaching. They have been trained by someone who was trained by someone who at one point (way back in the past) was lucky enough to informally “study” directly under Dr. Milton Erickson. So the bulk of the Ericksonian-style hypnosis training today is, naturally, somewhat biased and... let’s face it... “contaminated” by the current trainer’s preferences of style and use of so-called Ericksonian Hypnosis techniques. Much of what passes for Ericksonian Hypnosis today is what I call “ready-meal” hypnosis. Or “fast-food” hypnosis if you like. It hardly ever (if at all) covers the multi-faceted way that Dr. Milton Erickson himself “integrated” different aspects and nuances of hypnosis. 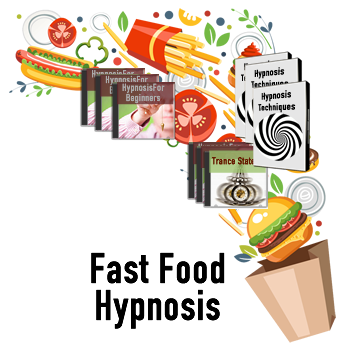 One hypnosis trainer may focus on teaching “Ericksonian” trance work – and completely overlook (or ignorantly ignore) how metaphor and stories “integrate” with the trance work. Or another hypnosis trainer will focus on teaching “Ericksonian” storytelling – and completely overlook (or ignorantly ignore) how therapeutic trance and Ericksonian style suggestion “integrate” with the stories. And that’s okay. Again, as far as it goes. 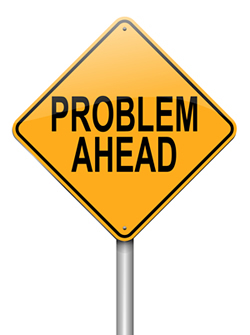 BIG PROBLEM 1: It makes learning and successfully integrating all aspects and nuances of Ericksonian Hypnosis a very slow, costly and arduous process (remember, it took me 20 years and over $180,000 in out of pocket expense following that path – but hey I had no choice at the time as that was the only path available!). BIG PROBLEM 2: It does NOT allow for you to easily APPLY TRUE Ericksonian hypnosis in a WELL-ROUNDED, FLUID and ADAPTABLE way. Okay I guess – if all you want is an experience of learning a bunch of different “isolated” hypnosis techniques. It reminds me of something my martial arts teacher once told me. It has stuck in my memory because it is just as applicable to hypnosis. A punch will work. But it won’t work if you are standing 5 feet away (and out of arms-reach) from your opponent. He meant: A kick will work. But it won’t work if your opponent has you on the floor in a head lock. Everything works... but nothing works all the time. That’s why you can be a black belt 6th dan in karate... knowing all the karate moves... but still get taken by surprise and beaten up by an “unpredictable” thug in a street fight. A black belt can know all the karate techniques and apply those in “isolation” (i.e., when the other person wants to fight karate style) – but can’t necessarily adapt to the blur of an unpredictable street brawl. Same logic goes for hypnosis. Especially when dealing with Ericksonian-style hypnosis. After all, it can be a wretched experience when you have all these “isolated” techniques of Ericksonian hypnosis and no real experience of “blending” and “integrating” them together in a very FLUID way to adapt to the individual person in front of you. Ultimately, what’s NEEDED with Ericksonian style hypnosis... is... a way to “blend” the different aspects, techniques and nuances of Ericksonian-style hypnosis. You know, so you can apply it ALL in a very FLUID and multi-faceted way (just like Dr. Milton Erickson did himself!). 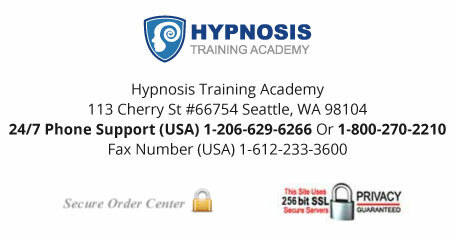 The solution is to find hypnosis teachers who can train you in ALL aspects and styles of TRUE Ericksonian-hypnosis. That solution exists out there. In fact, it’s the solution (the journey) I myself took. But it is a l-o-n-g drawn out solution at best. It will likely take you years (just like it did me). You end up bumping around from one hypnosis trainer to the next. Followed up by another seminar (with yet more expense) in another part of the country (or the other side of the world). All in the seemingly unending quest to fit together “another missing puzzle piece” of the completed Ericksonian-style puzzle. In the end it is worth it (my personal experience attests to that!). It’s often more puzzling than clarifying. And, at the end of the day (a’ herm... I mean at the end of the years!) you still have to figure a lot of it out for yourself in terms of “integrating” it all together so you can use it all in a very FLUID and ADAPTIVE way when faced with a unique person in front of you. ...and, yes, “personalize it” to the unique person in front of you. Well, the Practitioner & Advanced Practitioner of Ericksonian Hypnosis DOUBLE Certification Trainings is not just a hard-teaching training... it’s more a SHOW & MIMIC training event. By seeing the demonstrations first-hand and then mimicking what happens (“animal-style☺” ) you’ll quickly master the “integration” of all the techniques (at an unconscious-instinctual level). TThere will, of course, be more traditional teaching segments at the training (but they will be there purely to assist and enhance) your understanding of the many demonstration and examples you’ll see. SHOWN: How to do Erickson’s “5 Minute Hypnotist” Routine: this is a simple 3 step process that Erickson used in EVERY induction he did to create powerful trances - now you'll be able to do the same thing with a new subject so you have easy and FAST access to changing their unconscious patterns of behavior! SHOWN: How to develop elegant Ericksonian hypnotic language patterns so your subjects' unconscious mind hypnotizes ITSELF! (you'll be turning the subject into their own hypnotist with the Ericksonian language patterns you use). SHOWN: How to find powerful resources in places a subject never would have thought to look -as a hypnotist you'll be able to switch on the "torch of awareness" inside a subject’s mind so they suddenly see (and FEEL) solutions they were not able to see before! (When a subject suddenly "sees" something they've not been able to see before all of their "old limiting story" - and the BAD feelings around that - instantly collapse). SHOWN: How to easily create the perfect conditions for powerful natural and deep trances to occur -- even if you are in a crowded, noisy room. SHOWN: How to develop the powerful "H+" state that allows you to effortlessly initiate deeper and deeper states of hypnosis in your subject without feeling like you are PUSHING hypnosis techniques onto someone. SHOWN: How to do Erickson's mythical "Deep Trance Phenomena" for creating powerful changes in the unconscious. Use this in your sessions and your reputation as a hypnotist will soar! SHOWN: How to use your subjects' experiences to develop irresistibly effective hypnotic "mind pictures" that they naturally identify with. HINT: It's easier to re-align someone's identity when you use "mind pictures" they ALREADY identify with. SHOWN: The different kinds of hypnotic stories you can plant in a person's unconscious mind so natural bodily healing occurs. SHOWN: How to convert virtually any hypnotic technique into an innocent sounding hypnotic story that has a profound positive (even life-altering) impact on people's lives. SHOWN: How to quickly "hijack" people's naturally occurring trances and turn them into deep healing experiences of their traumatic emotions. SHOWN: Why sometimes it's a good idea to prevent a subject from going into trance in order to hypnotize them more deeply (Erickson would often get his hypnotic suggestions accepted by a subject – even though he never formally hypnotized them!). You can decide whether or not to do the certification process at the end of part 1 or part 2 of the live training event. Part 1 will certify you as a "Practitioner of Ericksonian Hypnosis” and Part 2 will certify you as an "Advanced Practitioner of Ericksonian Hypnosis”. However during our 70% OFF Super Early Bird Discount period you can SAVE $5602 PLUS split your investment over 12 simple monthly installments of only $199 USD! TIME: This is a live and largely PRACTICAL and EXPERIMENTAL TRAINING in Ericksonian hypnosis (and how to “integrate” all aspects and nuances of Ericksonian hypnosis together into a “whole that is greater than the sum of its parts”). Are you willing to take some time to invest in yourself? You also have a full 100% money back guarantee up until the end of day 2 of the training! Then, if you decide it’s not for you – for whatever reason... you will get a full and prompt refund. No explaining to do on your end. And no questions asked by us. Overall, the Practitioner & Advanced Practitioner of Ericksonian Hypnosis Certification Trainings are designed for people (like you!) who are personally committed to being the best at ALL ASPECTS of Ericksonian hypnosis. It takes commitment and desire to be the best. Remember, it took me a commitment of 20 years and over $180,000 in out of pocket training investment. And I’ve condensed my entire Ericksonian hypnosis experience (including unique insights into it) into the Practitioner & Advanced Practitioner of Ericksonian Hypnosis Certification Training Modules and I invite you to come along and benefit from that! Places are extremely limited, there are just 30 available places for these certifications (some of which have already been reserved) so it’s highly likely to get SOLD OUT! Naturally reservations will go on a “first come, first served” basis. Enroll me in the Practitioner & Advanced Practitioner of Ericksonian Hypnosis Certification Trainings I am ready and eager to experience 12 amazing days with Jonny Dupre in San Diego, California, USA. 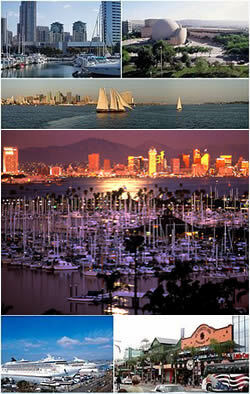 San Diego Bayside (Address: 1355 N Harbor Drive | San Diego, CA 92101). P.S. This training will be run by master hypnotist Jonny Dupre. Jonny is a licensed Master Trainer for the Hypnosis Training Academy. Jonny has studied with me for over 10 years and became one of my exclusive licensed trainers teaching others ericksonian hypnosis, conversational hypnosis and hypnotherapy. Jonny’s work has changed the lives of thousands of people around the globe. His goal is to help you achieve the positive change you want in your life as quickly and as easily as possible through the use of life coaching, hypnosis and specialized rapid-change personal development. This is not only Jonny’s job; it is his passion, his art. Jonny uses every tool in his subconscious toolbox to help you create new, more positive lifestyle techniques. Your life can literally turn around in the blink of an eye. Jonny is also a certified practicing Hypnotherapist and a Master Practitioner of NLP. He also received a certification in Conflict Management and Resolution, giving him a unique insight into relational patterns, behaviors, and issues. Jonny has deepened his understanding of the human mind with various certifications in Self-Hypnosis, Mind-Bending Language, Ericksonian Hypnosis and Conversational Hypnosis. From this knowledge, he rapidly discovered the impact of the proper use of language in therapy, and all that can be changed on an unconscious level, based on the way he utilized language with his clients. Jonny is also an internationally renowned body language expert with an expert standing in Advanced Microexpression Training, Subtle Expression Recognition Training, Emotional Skills and Competencies (ESaC), and Evaluating Truthfulness and Credibility (ETaC). He also holds a degree in Human Development with an emphasis on Counseling. I HIGHLY recommend Jonny and you’ll love the way he delivers this training! and communication experts on the planet"
"I am just wrapping up an amazing week in San Diego, where it is finally sunny, with the incomparable Jonny Dupre. For those of you who don't know Jonny, you will. He is by far one of the most educated change and communication experts on the planet. I feel honored to have spent the week in his presence learning his BRILLIANT Breakthrough Protocol. Thank you again Brother! Btw, I can't wait to get back to Nashville with the most powerfully structured change process I know. I've studied everything and this process is bar none the best I've experienced. If you're one of the lucky few who get to experience this three day process, your life will be transformed forever". "My quality of life has definitely improved"
"Jonny Dupre has mentored me and imparted much wisdom to me over the years. He truly loves what he does and cares about his clients. I've had the pleasure of knowing Jonny for the past 6 years and I have to say that my quality of life has definitely improved since knowing him. He has empowered me past some very very dark times and he is a big reason why I am where I am today. To be this happy in life compared to where I used to be is something I can't put a dollar amount on."